Barron's has an interesting article How Investors Should Navigate Globalization’s Decline. A decadeslong drive toward freer trade across borders has begun to reverse. Globalization is being overwhelmed by populism, nationalism, and protectionism. The above chart and a focus on percentages is misleading. The US trade deficit with China has been hitting fresh highs. The article concluded "The tectonic plates of global trade are in motion. Even a handshake between Trump and Xi won’t stop that shift." I agree, but shifts were underway before Trump became president. But as the article notes, Trump's tariffs definitely accelerated the trend. 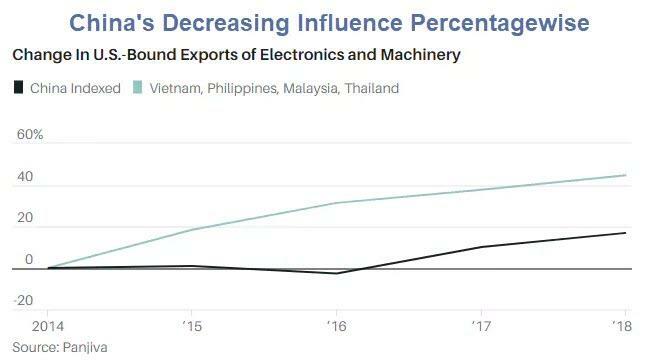 It was a rise in labor costs in China that led to China losing manufacturing jobs not only to robots but to Vietnam. Thanks to robots, some manufacturing has returned, but without the jobs. It takes fewer and fewer people to do anything. 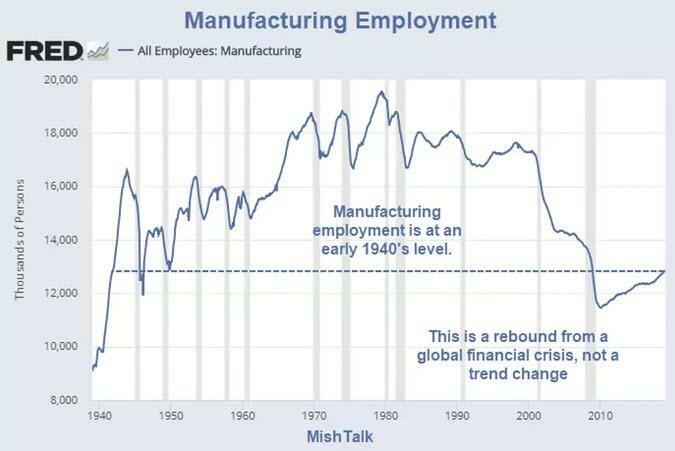 Minus wages and transportation costs, it makes sense for manufacturing to be close to the end buyer. Trump is fighting a losing battle. Manufacturing those jobs are gone and they won't return. Trump has his eyes in the rear view mirror. He wants to bring back manufacturing jobs when those jobs are in decline for the long haul. More problematic for the US is China's new focus on high-end technology as opposed to routine assembly. Huawei, a Chinese corporation, is the world's reader in 5G technology. Trump seeks to put an end to that by claiming Huawei is an espionage threat. For discussion, please see Real Reason Trump Wants to Ban Huawei: US Wants to Spy and China Won't Cooperate. The US needs to focus on the jobs of the future, not the jobs of the past. 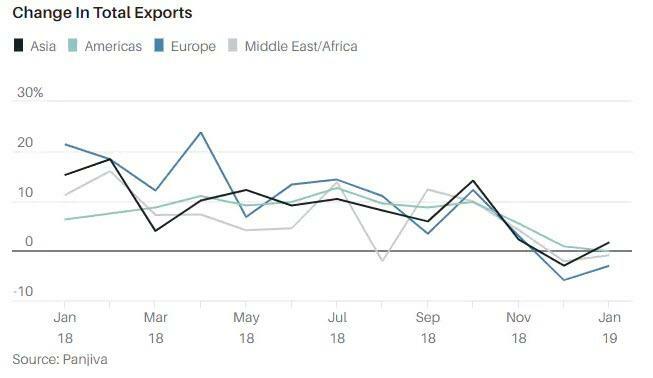 Trade talks with a spotlight on soybeans, phone assemblies, etc will not do the US a damn bit of good. Tariffs have not and will not solve a single problem. Meanwhile, somehow the US has fallen behind on 5G. That's not good to say the least.